1. Inventory levels are ridiculously high. Funny how this works (in any market). Prices start to go up, people begin to notice and wait and see, prices continue to go up and people begin to plan selling their homes to take advantage of the rising prices, people begin to list homes for sale and homes sell quickly, market begins to reach critical mass, everyone throws home on the market so they don’t “miss this great opportunity while prices are high”. Problem is that people begin to think about selling/buying while prices are going up but don’t act. They wait and wait and talk about it while the market is rising and then by the time they decide to do anything the market has begun to slow. Sellers are the last to acknoledge that a seller’s market has turned. It’s truly an amazing thing to witness a seller’s rationalization as to why their home should sell while others are not. I’m listing a condo next week and the sellers want to list for more than it is worth, and more than it will appraise for and then buy a home for a great price because it’s a buyer’s market. Their rationalization is that homes are in a buyer’s market but condos are still in a seller’s market. This is not the case of course, but this is how sellers think. Another listing I have right now has been on the market for a month and hasn’t sold and today I spent twenty minutes on the phone with the seller hearing why his home should be sold even though not one single house has sold in his city during the last 30 days that are even close to his price range. He still thinks his should should be sold. 2. Lenders have tightened qualifications and taken away many programs. Many deals are failing right now and buyers who were qualified are no longer. Lenders are being very strict- they are looking for reasons to not lend money and the appraisers are following suit- being very conservative with their appraised values. This also causes people to become frustrated and decide to not buy at all, especially for 20% less than could have bought a few months ago. 3. The media declares doom and gloom every day on every channel, all day long. According to the media we should all burn our houses down and live in caves because the fictional “national real estate market” has gone to hell and everyone who owns a home is the devil. This causes people to sit and wait. Most buyers who want to buy are simply waiting and watching to see what will happen, just like sellers did while the market was going up. Now it’s a buyers market and the best time to buy, so what do buyers do? They sit and wait until the market becomes a seller’s market again- and then they’ll all want to buy and they’ll say it’s still a buyer’s market even when it’s not. This is the natural order of things. People wait until it’s too late and then demand that things are they way they want them to be. Listen it’s really simple- when lots of people are buying is not the best time to buy. The best time to buy is when not as many people are buying. Supply and demand. In a buyer’s market buyers need to get a great Realtor and make sure they are buying a solid investment, but they’ll make much more appreciation when the market appreciated rapidly again. If you buy while the market is close to it’s peak you don’t make as much as when you buy while it’s not at it’s peak. The Salt Lake City market will now remain relatively flat in price appreciation for about 18 months until the cycle comes around again and it begins to grow more rapidly. Question is, will you wait until prices have gone up to buy or will you take advantage of opportunity to buy while you’ll get the best deal? The Manpower Employment Outlook Survey, released on Tuesday, shows that 52% of Utah’s employers plan on adding to their staff during the next six months, while only 3% would be decreasing their numbers. Much of the news surrounding the area’s job growth has centered around certain companies and industries, but this survey is over the breadth of business categories, meaning it will affect most of the population. In the Orem area, over 60% of employers will be hiring, in the Ogden area 50% will be adding to their ranks and in Salt Lake County 47% will be hiring more people, 53% say they will remain the same, and zero said they plan to reduce staffing levels. The strong Utah figures are in contrast to the national survey results. U.S. fourth-quarter hiring pace is expected to remain unchanged from the July-to-September period but be a little off last year’s fourth-quarter pace. Among the 14,000 U.S. employers surveyed, 27 percent foresee an increase in hiring activity and 9 percent expect a decline in the fourth quarter. Fifty-eight percent expect no change, while 6 percent were undecided. Strong job growth has been one of the main reasons for the area’s strong real estate market. People moving into the area for jobs and raised income levels help the economy and the real estate market in the area by adding to the demand for homes. Currently the Salt Lake real estate market is stronger for buyers and with high inventory levels, a nation-leading local economy and low interest rates, this is a good time to buy. 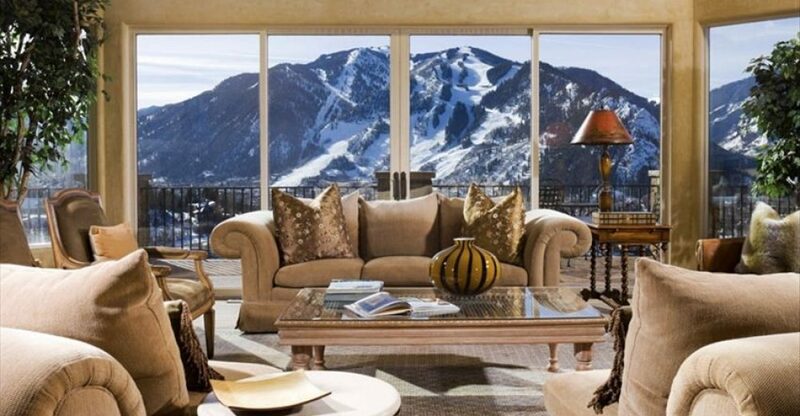 The housing market for homes priced between $400,000-$800,000 in northern Utah is showing signs of softening due to high inventory levels. We are not going through a correction or a decline, simply a slowing. The Salt Lake Tribune today reports that homes priced over $500,000 are being hit the hardest, which I can confirm. I listed a home for $509,900 two days ago and when I pulled comps there were hundreds of active homes in the area, in the price range that we need to compete against. The media likes to play up anything they can, including a shifting housing market, but things aren’t usually nearly as dramatic as the media makes them out to be. The media is chicken little, running around screaming about anything they can, while I’m out in the field everyday seeing what’s actually happening. In the lower price ranges homes are still flying off the market in days, many still getting multiple offers. Three of the homes I have listed under $250,000 in the last couple weeks sold within the first couple days at full price or more. Some areas of town are seeing this more than others. The south end of the Salt lake Valley and the northern part of Utah county are seeing the most inventory in the $500,000 price range, making it difficult to sell in those areas. Even in Sugarhouse, where homes usually sell very quaickly, are sitting longer. I have two listing around $400,000 in Sugarhouse that have been on the market for more than a month. Our team just put one under contract for over $500K in Sugarhouse, but it was priced very well. Looking at data from the MLS the number of active listings in Salt lake County has risen each week for the past two months and has increased from 5212 active listings on June 1st to 6984 on August 17th, representing an increase of 1772 homes, or a 35% increase in the last two months. That’s a lot of inventory coming on the market, and a lot of that is in the south end of the valley. The average days on market has risen, but not by much (from 27 days in August 2006 to 33 days this year), showing that homes that are priced well are still selling fairly quickly. Another sign of the softening market is that less people are trying to sell For Sale By Owner (FSBO), seeing their homes sit on the market longer and getting less activity. We’ve been having quite a few FSBO sellers contact us recently to ask about listing their properties, many have been trying to sell for months and are now realizing they may need a good Realtor now that the market isn’t a seller’s market like it was last year. One listing I have at $1,250,000 in the south end of the valley has seen more activity than some of our homes listed in that mid-price level around $500k, even though there are more homes over $1Million on the market this year than last. The market continues to stay strong overall because of the nation-leading job growth and people moving into the area. And the area is still experiencing appreciation (probably 6-8% this year), with some area prices rising by more than 15% for the year, especially in the under $250k price ranges. The Deseret news has an article from yesterday saying the local market is still rosy. Overall, it’s a good time to buy in the Salt Lake area because there is such a great inventory, prices are steady and sellers that need to sell are pricing their homes accordingly, and with the job growth and influx of people moving into the area we should see a good, healthy growth and appreciation over the next few years. It is still very easy to qualify for a loan and first time home buyers would be wise to buy now and have their money work for them instead of throwing it away on rent. For the latest area stats see chart. Looking at the crime rates in different states, Utah looks like a pretty safe place to live. How safe is your state? According to the Office of Federal Housing Enterprise Oversight (OFHEO), Salt Lake City ranked fourth in the country for appreciation last year with home prices rising 19.8%. Following only Bend, Oregon (21.4%), Wenatchee, Washington, and Salt Lake’s southern neighbor, Provo-Orem (19.9%). Nationally, home prices rose 5.9% during that time period, while all of Utah’s major metropolitan areas posted major gains in the past year. And it’s not only sales prices that have been strong, but time on market has been great, with well-priced homes moving fairly quickly, and over-priced homes not selling. This tells me that the market is not inflating itself, but is being driven by healthy factors, such as jobs and demand. Much of Utah’s current real estate boom has to do with the state’s strong job market, said Andrew Leventis, economist with Office of Federal Housing Enterprise Oversight. Job growth in the state, among the highest nationally, is expected to continue strong through this year and next. “Employment and house prices are closely linked,” Leventis said. Another factor in Utah’s favor is affordability. Utahns struggling to afford a home may think otherwise, but Utah still has “fairly affordable housing,” Leventis said. The Salt Lake real estate market should remain strong for the next few years with the continued job and population growth and the influx of buyers from out of state. One reason I feel good about the growth in the northern Utah market is the fact that the appreciation rate is under 20%, meaning it is not rising too much too fast, which would make it unsustainable. This year the local market should appreciate 10-12% and that is about as good as it gets. According to the US Census Bureau, income levels didn’t increase in every state in 2005. From 2004 to 2005 average income levels in 24 states dropped, with Virginia faring the worst, dropping 5.6%, followed by Kansas (-5.5%), Wisconsin (-4.6%) and Missouri (-3.8%). Other states saw an increase over the same period, led by Maine (+5.5%), Vermont (+5.1%), Maryland (+4.4%), Hawaii (+4.0%) and Arkansas (+3.8%). Utah saw an increase of 2.4%, which placed the Beehive State with the 9th highest median income in the nation at $53,693. The highest median income in the country in 2005 belonged to New Jersey ($60,246), followed by Maryland ($59,762), Hawaii ($58,854 ), New Hampshire ($57,850 ), Connecticut ($56,889 ), Alaska ($56,398 ), Minnesota ($56,098 ), Massachusetts ($54,888 ). The median income for the country in 2005 was $46,071, which was 0.4% higher than the previous year. Higher Education makes a significant impact on how much most people earn. Approximately 63% of the population who earn over $60,000/year have at least a college bachelors degree, with only 3% of those people not finishing high school. Of those people who did not finish high school, 69% make less than $30,000/year. Of those people who have earned a graduate degree, almost 90% of them make over $30,000/year and 79% make over $40,000 annually. And how much income do you need to make before you are considered to be rich? The largest number of people surved think earning between $100,000-$200,000 makes you rich. When it comes to real estate in America, what do people search for? Before I began writing this I made a list of my own to see just how close I could nail it. I mean, after all, I’m a real estate vet with years of experience and I run a couple of the most-visited real estate web sites in Utah, so I should have some pretty good guesses, right? Both seem like fairly straight-forward lists, so how close am I? A lot of people use search engines to type in domain names instead of putting the domain name into the address bar- just out of habit or for the spell-check or something. This is some great research because it shows how people search in different categories. I would think more people would search for California then New York, with more people living there and so many more homes there. The main surprise to me is how few people actually searched for the keyword MLS. I would think many more people would. If anyone has any additional stats on keyword searches or on your own website acitivity (you don’t need to share numbers like I did) please share them or give a link where we can see them.